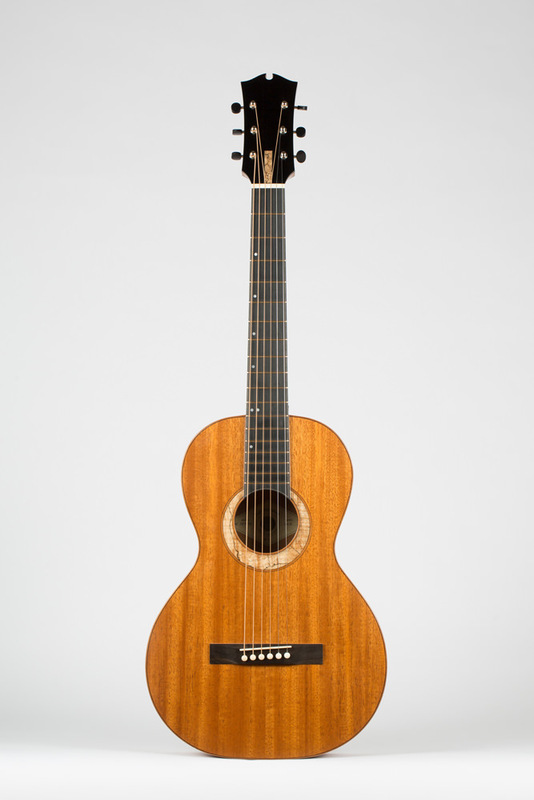 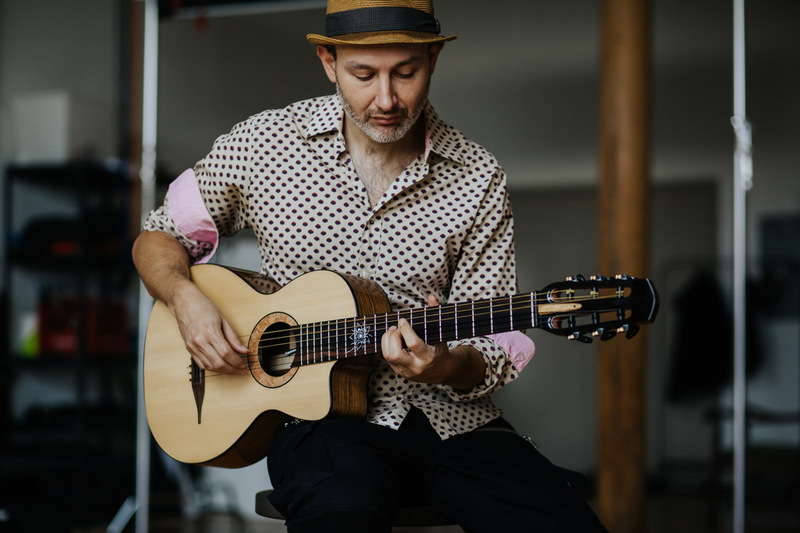 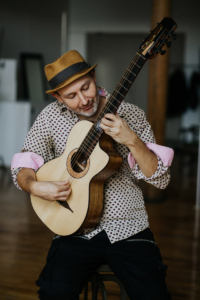 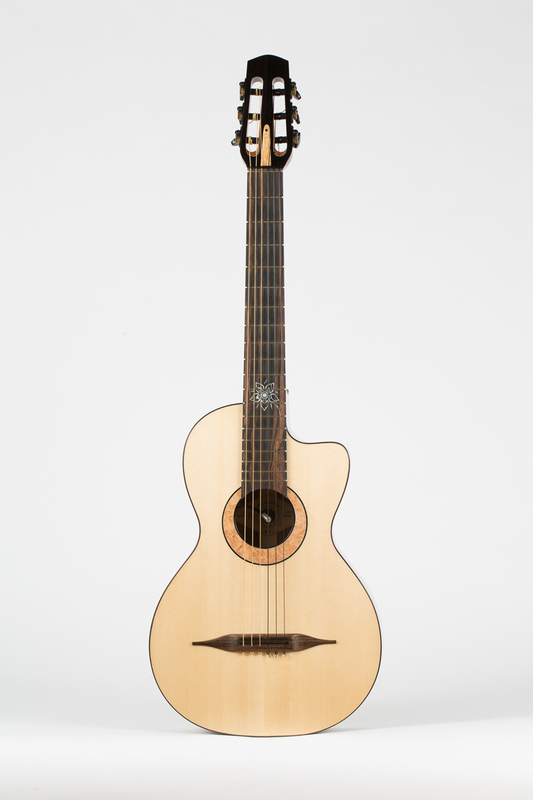 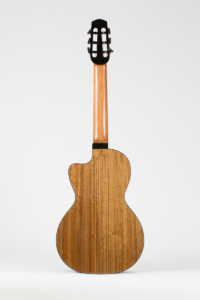 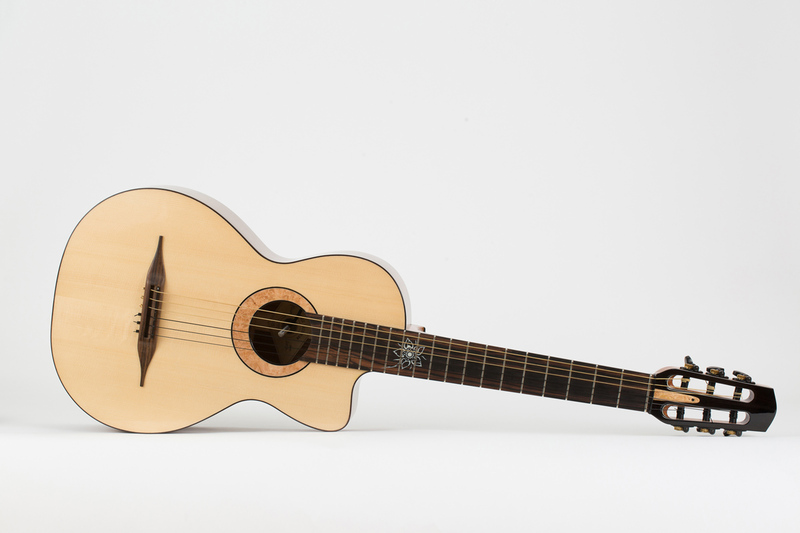 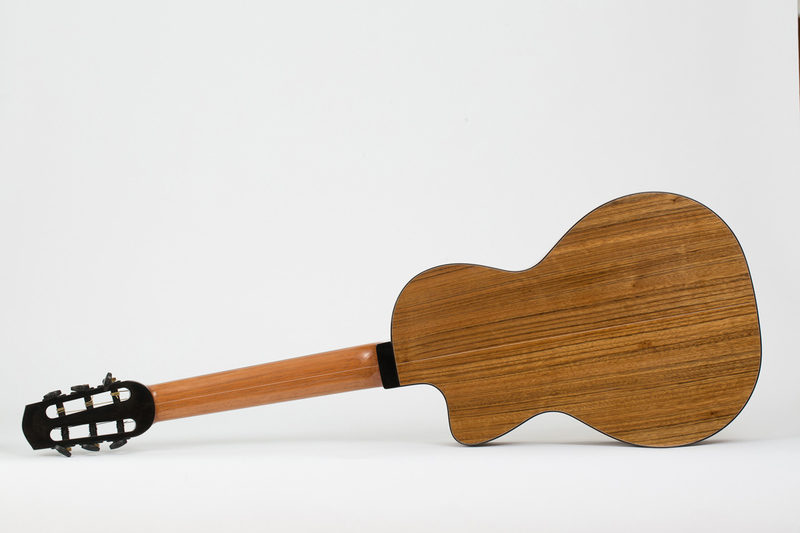 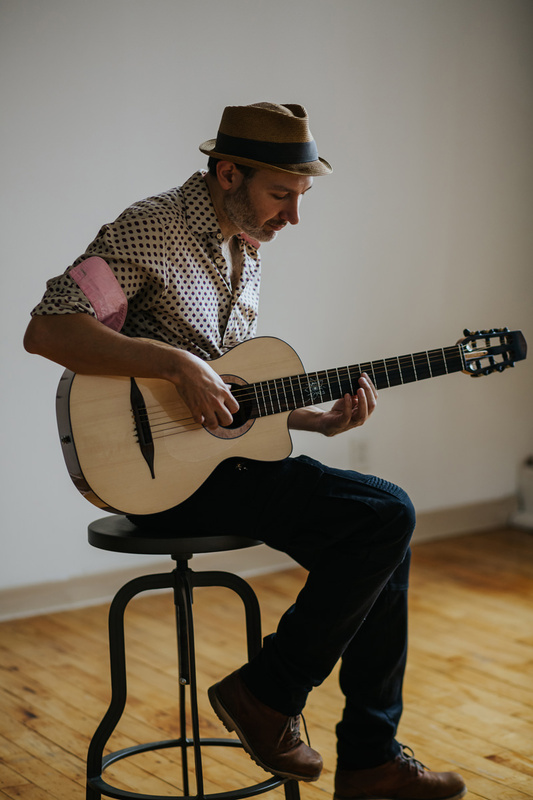 Developed in collaboration with a professional musician, the goal with this nylon guitar was to combine the flavors of bossa nova and gypsy jazz in an easy-to-carry instrument. 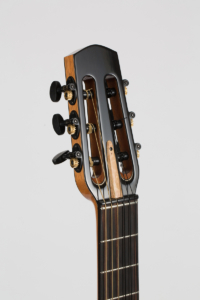 The result was so exciting that I decided to add it to my main production models. 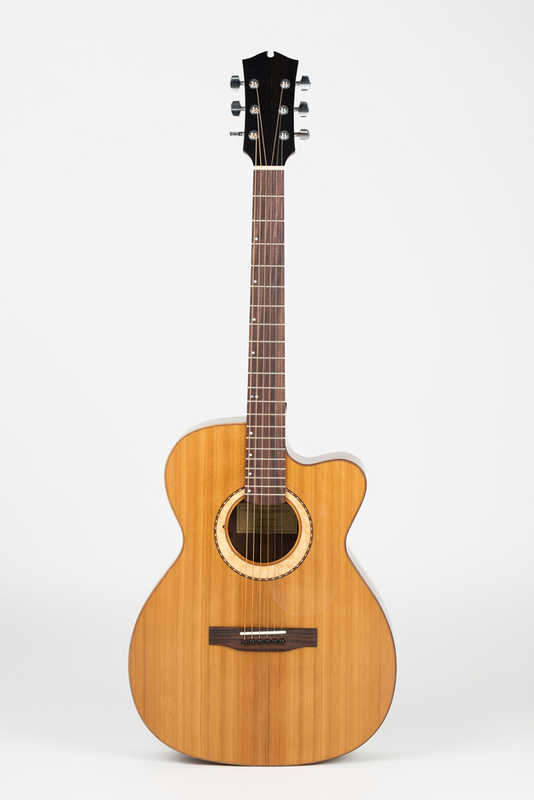 This guitar is extremely easy to play, its shape makes it very comfortable to handle as well as giving it, its distinctive look. 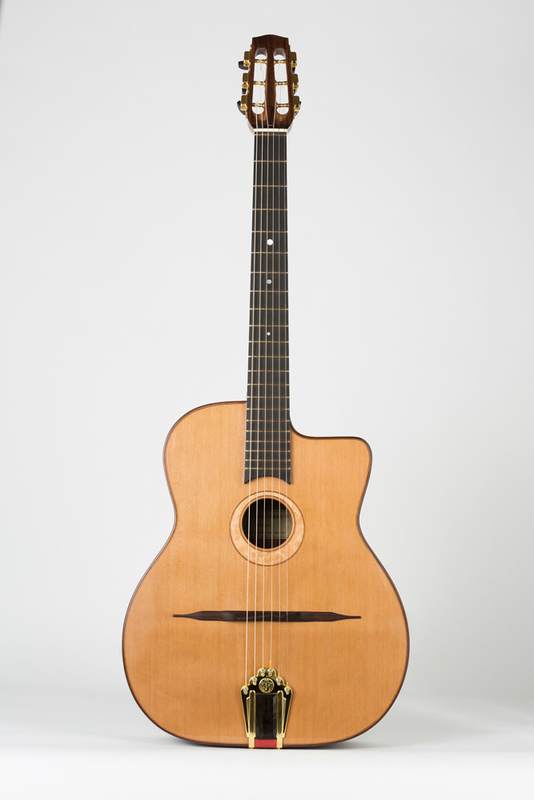 This guitar has a very dynamic sound, warm and round extending into the medium tonalities… A treat to play! 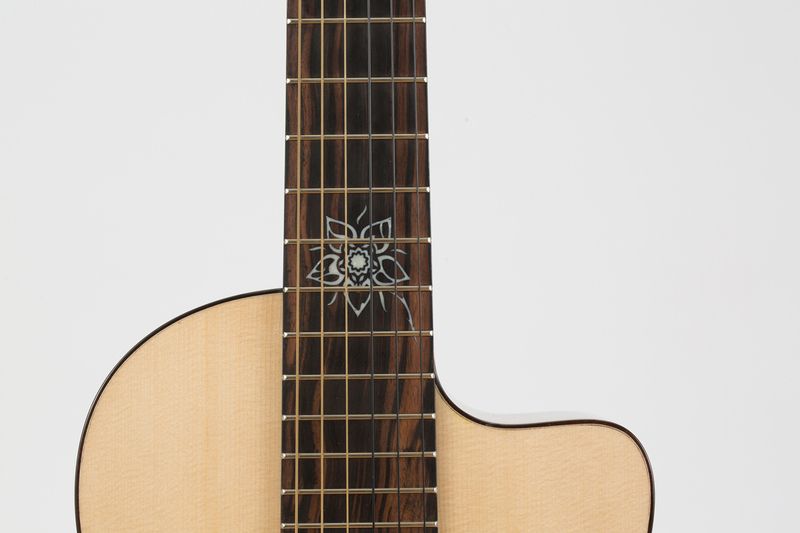 As every guitar in our line-up this guitar is made to order and customizable with your personal specifications and choice of wood. 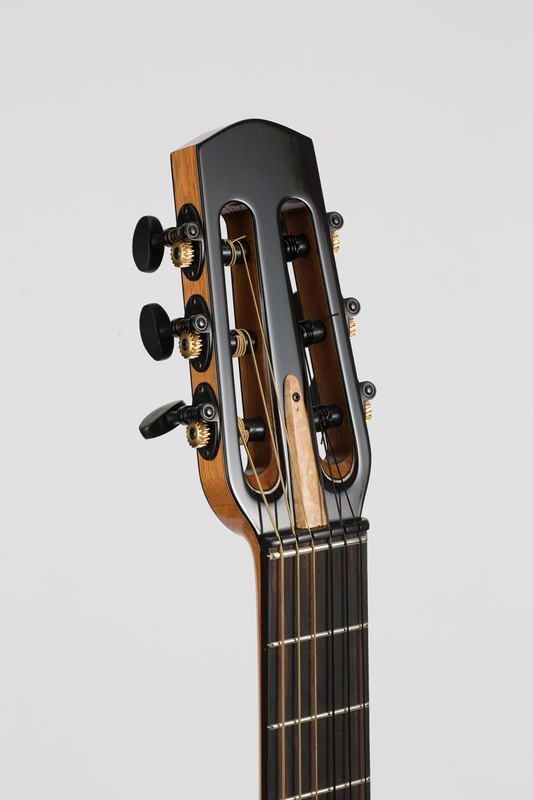 Several amplification options are also available. 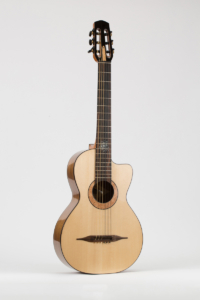 specifications, pricing or other please contact me.